It is difficult to talk about today’s legal market without describing change. Significant financial pressures, increasingly out-of-touch educational processes, a complete shifting of the industry’s revenue model, and more, serve to blur the path forward for many firms. Taking this reality to heart, Akerman LLP, in conjunction with Insight Labs—A Chicago-based foundation designed to develop and disseminate new models for solving social challenges—embarked on an initiative last year called Law2023, which was designed to predict what the practice of law might look like by the year 2023. Technologies will enable lawyers to bill for real value. Firms will develop offerings that transcend jurisdictions. Demand for responsive institutions will create new markets for accountability. Firms will tap new talent and enable new pathways to practice. Transparency will push firms to seek hyper-specific markets. Firms will launch R&D departments to create new offerings. User research and innovation will shape the client experience of legal products. 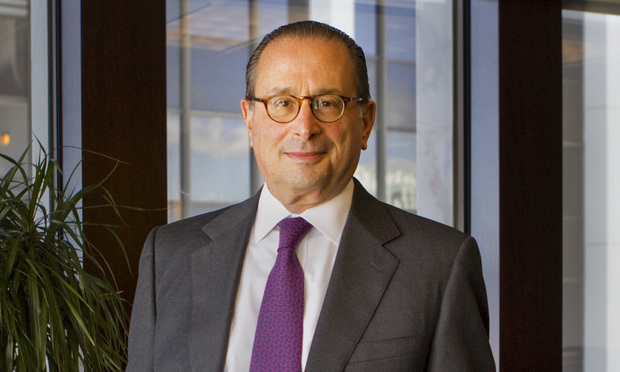 Andrew Smulian, Akerman LLP’s chairman and CEO, chatted with me to not only better explain the Law2023 initiative, but to also discuss some of the issues and challenges that face modern law firms and attorneys. Parnell: As a firm, you decided to participate in Law2023; what sparked this? Smulian: Well, we became involved through Deb Knupp of Akina. Our partnership with Akina began more than three years ago, with a shared mission to create a client development framework committed to delivering exceptional client service through a highly customized experience. We have worked with Deb and her partners a fair amount on much of our business development and coaching, and other programs we have in the firm. As part of our focus, we have placed a lot of attention on the future of law and the disruption we are seeing in the market. When Deb introduced us to Insight Labs, and to the self-styled futurists, we realized that their efforts were aligned with our focus, and we were excited to be a part of Law2023. Parnell: Akerman is currently launching an R&D council … are you immediately launching any of the other findings? Smulian: We started this project in early 2013, with a ten-year point of view, which is how we got to “2023.” A research and development department is one of seven ways in which we believe the law firm of 2023 will behave differently from the law firm today. The decision to launch an R&D Council is not only the result of our Law2023 participation, but is also a natural progression of how we engage with our clients. To ensure that client needs are at the center of the firm’s research and development activities, the R&D Council will include a select group of Akerman clients who will serve alongside a diverse group of our lawyers and executives. We believe that Akerman is unique in this aspect; we are creating a structure that connects our clients and their insights into the firm’s research process, giving our clients a competitive business edge while also helping our lawyers develop an intimate understanding of our clients’ businesses. This allows us to see our services through the clients’ eyes, identify micro-trends based on their experiences, and test products based on their needs. The core objective is to develop new forms of client interaction and a market leading client experience. As an institution, we are narrowing in on our core strengths and focusing on our recruiting efforts. We build teams that are skilled in niche markets to become ever-more-hyper-specific. Our lawyers are leveraging new technology now in certain ways; we are turning up that volume within our firm, and we are tapping into new kinds of law firm talent. We are starting the conversation within the firm about other professionals assuming larger roles—both in technology and intelligence, and certain other capacities—that traditional law firms haven’t seen. Parnell: In some ways, I agree with the impending hyper-specificity of markets. This is, however, in direct opposition to the consolidation that is going on in the market. There are a lot of mergers going on, and some firms are certainly moving with a purpose. Smulian: Well it seems that way! It’s funny: shortly after the first of the year, there were these big deals going on, and one morning, I looked at myself in the mirror and thought “What am I missing here?” But many of those proposed law firm mergers disappeared. In terms of our own growth, we are trying to be deliberate about it. We have not pursued a merger in a number of years, but, have instead pursued fairly specific and targeted recruiting. This type of growth doesn’t happen overnight; it’s a far more strategic and thoughtful process to ensure that we hire exceptional lawyers who add the most value for our clients and share our commitment to the client experience. Parnell: Akerman does have a strong history of mergers and acquisitions, and you’ve seen great success with that. What is the strategy behind pursuing simple lateral development or acquisitions rather than full-blown mergers? Smulian: Our strategy has always been client driven. We take a very responsible approach to our growth. We see essential value in building teams that add value for our clients; teams that enhance our service to clients on all fronts, have meaningful client relationships, and share our commitment to deliver a market-leading client experience. As an institution, we are very keen on practicing law with people we want to practice law with. We view potential opportunities not only from a perspective of practice alignment, but also from a perspective of our resources—whether we are allocating our resources in line with what we say that we are doing. We have a strategic plan and we have our core strengths that we are focused on; we think that doing it with the right people, who bring the right kind of chemistry and the right human element into our picture is a very successful way for us to grow. This is a formula that we’ve seen work for us and we still see a lot of virtues in that. Parnell: To me, that sounds like protecting and strengthening the culture—cultural homogeneity, if you will; ensuring that you keep everything growing but still cohesive. Smulian: Well, I might object to “cultural homogeneity.” What we are doing, and what we have been successful with, is recruiting a wide variety of people with diverse perspectives and experience. But, certainly, homogeneity in terms of our core strengths in middle-market M&A within the financial services and real estate industries, and our diverse Latin America practice. Parnell: I am going to ask you a tough question. let’s talk about the leverage pyramid. As technology and unbundling takes hold, the reality is that the existing pyramid just can’t support many of the existing large partnership bases. How do you see this affecting law firms down the road? What do you see for major firms in the next 10-20 years? Smulian: You are seeing a great deal of compression in leverage. And, correspondingly, you are seeing—out of the law firm context—considerable unbundling and LPOs and other ways that clients have to access legal services. I think that trend is going to continue. One size does not fit all, though. The global elite and international business firms—or however you decide to divide up the market—will see different challenges than domestic, regional, or boutique firms. As a firm, we are trying to balance that reality versus the cultural aspects that we are trying to enhance; I wouldn’t say, necessarily, to preserve our culture, but more so that we are positioned to innovate, with our clients, specifically. A large part of that thrust is how we deliver services to our clients in new and different ways. We’ve always thought of ourselves as innovative, both in the court room and in the board room, and now, in terms of how we deliver our services and build the most optimal relationships with our clients. For instance, the R&D Council is one model of how we will interact with clients, and is an extension of our work with business incubators and accelerators. There is a district close to downtown Miami called the Wynwood Art District, which has grown into a center of innovation for U.S. and international entrepreneurs. We have a group of lawyers rotating in and out of the outpost we established there to decentralize from the confines of a traditional high-rise office, and really integrate in the entrepreneurial ecoculture where collisions of discovery occur. We also hold regular learning labs and innovation tournaments in the firm; we’ve embarked on Law2023; we’re opening up a whole variety of new ways in which services are going to be delivered. When it comes down to the basics of client service, some matters are going to remain high-touch in nature, and can’t even work through video conference—the clients want their lawyer in the room. Some matters will be self-service—the client will want their portal, and won’t want to have to speak to their lawyer, let alone see them. Parnell: These are things that we are seeing happen over in the UK and AU. While I suspect that it will take some time to see payback, if you stick with it, you will be ahead of the curve here in the States. Smulian: I think that a lot of this stuff has a greater time horizon to it. But we have the support and the interest of our practice group chairs, and other leadership within the firm, and of our people. Coming as far as we have, with our entrepreneurial background, and trying to create this ethos of collaborative innovation, it is going to be a long haul. We know that. But I do think that it is going to be worth it. Parnell: [Many of your innovations] strike me as, potentially, striking chords among the various cohorts. Setting up the outpost in The Lab in Miami; this sounds very “Millennial” to me. I am not sure what your cohort distribution is across the firm, but how is this being received by the partnership? Smulian: You’re exactly right. [Millennials are] exactly who are in The Lab. And my goodness, it is really working. That cohort’s approach and attitude—they are millennially-curious—and given the support and resources from the firm put behind them, it has created a fair degree of bonding among the partnership. Parnell: Have you done anything else, or found it necessary to do anything else, to mesh across cohorts? Smulian: Pragmatically speaking, I am not going to convert everybody, nor should they be. There are a number of different ways to do this, and as we enjoy more and more success, the results will tend to speak for themselves, and we will get more and more adopters. Parnell: Liberalization … the UK and AU are fully liberalized. The UK firms, in particular, I believe are a true threat to some of the major US firms in the future. They are innovating very quickly and efficiently. They have taken a hold of a lot of these major changes—necessarily—because they have been exposed to true external competition. I’ve found that many firms in the US are not paying attention to this. What are your thoughts on liberalization? Smulian: That is a heart and head situation. I think that it will happen, but it will be a long time before we get there. We’ve been talking about this for three or four years, and, maybe I’m not looking in the right places, but I don’t see the movement to drive it [here in the States]. It is not nearly as strong as I thought, from the viewpoint of three or four years ago. Parnell: How would you tell a junior partner or senior associate on a partnership track to future proof themselves? What skillsets do you see as being most viable and stable in the future? Smulian: That’s a really good question…. I don’t think that there is any substitute for smarts, at the end of the day. [Attorneys] really need substantive skills, which includes having not just legal knowledge, but also knowledge of the business of the clients and the industries in which they are working. I think that you are going to see a lot of emphasis on that. For example, we are a member of Lex Mundi, which is a leading global network of independent law firms, and they created a new program this year at Cambridge. The entire program was for developing new partners, and effectively giving them a mini-MBA in a week. That is just a taste of it. I think that understanding the demand-side and what issues the clients are really asking you to solve is key, and then finding a way to deliver to them; to concentrate on a variety of ways that you can deliver services to clients. That is what I would challenge young lawyers to do.